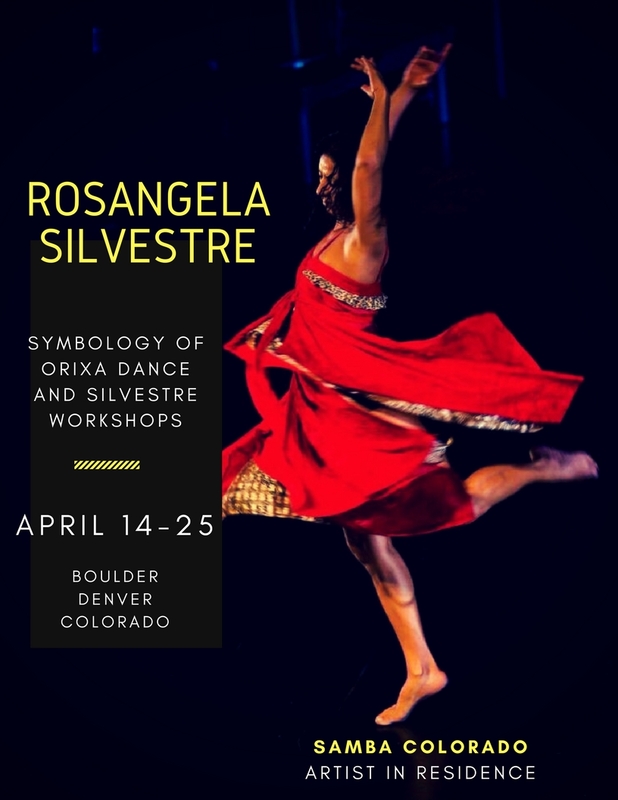 It is with great gratitude, respect and joy that we are pleased to announce the return of our friend, mentor and Master Teacher, Rosangela Silvestre to Colorado. Classes are open to all levels. We we be offering an Afro-Brazilian Drumming workshop taught by Michael Paff, and a special Silvestre Body Nature Workshop with Rosangela Silvestre. Don’t’ miss it! You are the Essence of the aspects of Nature that can activate and bring alive the Nature of the dance that you are. Explore inspired movement and technique in the actual Elements of Nature – in our Sonoran Desert! This class has evolved from the islands off the coast of Salvador, to the big island of Hawaii, and we have the opportunity to experience it in our own element.